Wetherlam is a first floor apartment, set within a large Lakeland property, in an elevated position, at the heart of Bowness-on-Windermere. It offers open plan studio accommodation, sleeping two people in one pull-down double bed. There is also a kitchen, a dining area, a sitting area and a bathroom. 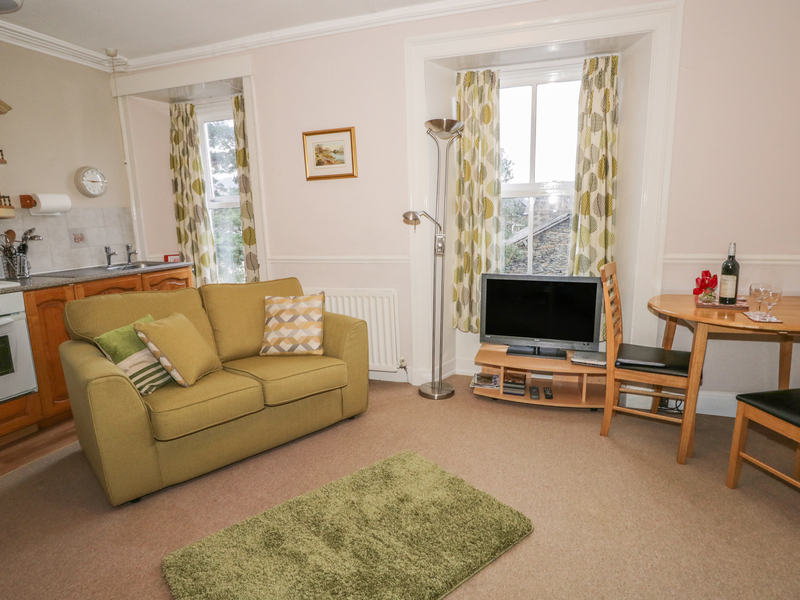 Outside there is off road parking and all the amenities Bowness-on-Windermere has to offer within walking distance, including Lake Windermere just five minutes away. Wetherlam is a delightful base for a Lake District holiday to remember. All first floor. Open plan studio accommodation with pull-down double bed, kitchen, dining area and sitting area. Bathroom with bath, shower over, basin and WC. Gas central heating. 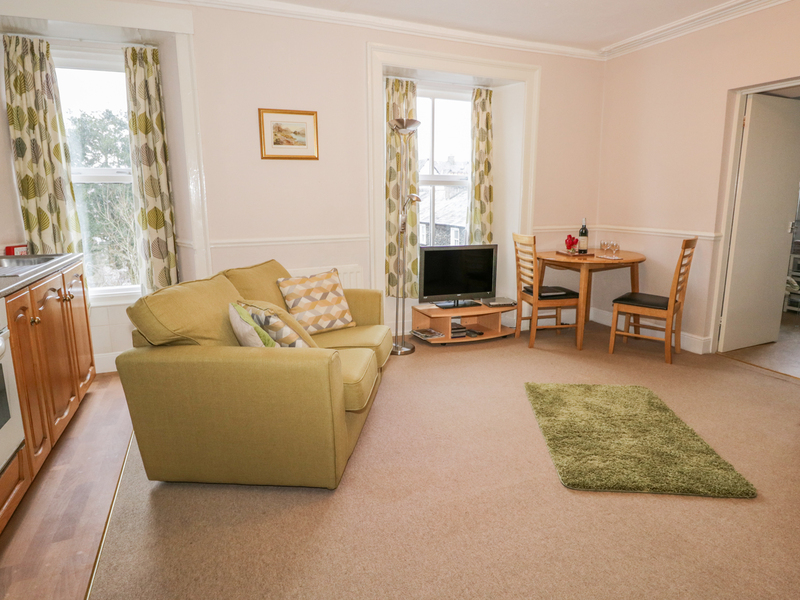 Electric oven and hob, microwave, fridge, shared use of washing machine, TV with Freeview, DVD, WiFi. Fuel and power inc. in rent. Bed linen and towels inc. in rent. Travel cot and highchair on request. Off road parking for 1 car. Sorry, no pets and no smoking. Shops and pubs 2 mins walk. Lake Windermere 5 mins walk. Note: The property is in an elevated location. Note: Check-in time 4pm.